Heritage Family Pantry in Lakewood. Courtesy of Yelp!/Matthew H.
The closure of Spires to make way for Jack in the Box and Starbucks drive-thrus stirred up both the ire and applause of residents: applause for the fact that, well, Spires wasn’t particularly good toward its end, but ire at the fact that two corporate drive-thrus aren’t a much better replacement. These spots aren’t just aging in terms of their style but are essential sustenance and social outlets for a part of the population that is easy to forget about. My grandfather’s daily outing to restaurants that offered him a discount were the main times he actually socialized—and he credits those outings to his very long, healthy life. 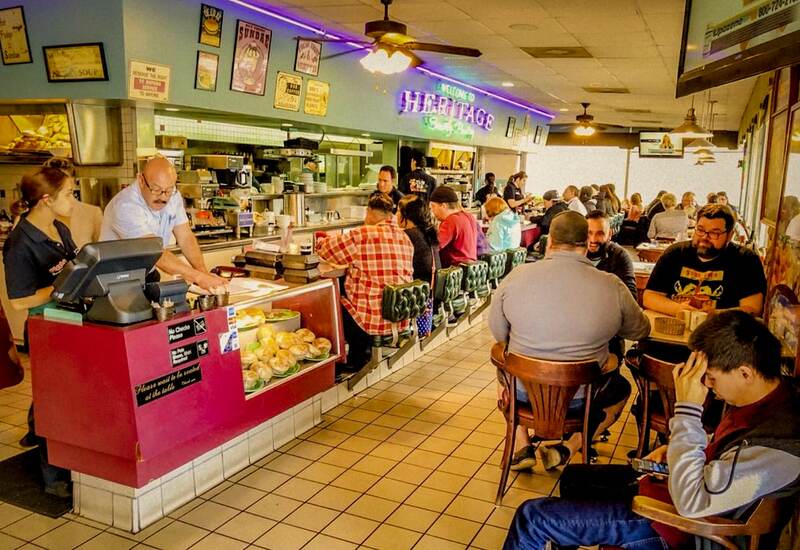 Heritage Family Pantry, right on the Lakewood and Long Beach border, is actually one of the city’s best diners. If you’re not keen on menudo (and in that case, I feel deeply sorry for you but I will respect your lack of taste nonetheless), you can score multiple early bird specials Monday through Friday before 10:30 a.m., with every special costing $10 or less. 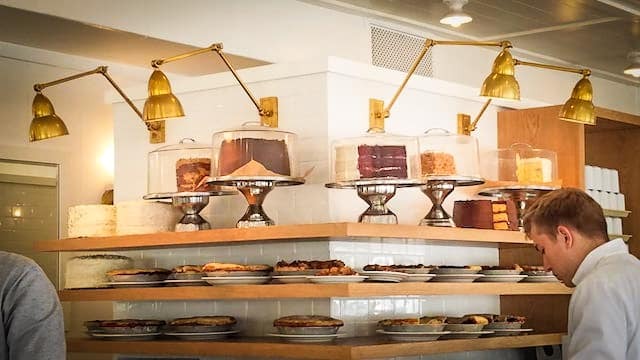 The assortment of cakes and pies at Jongewaard’s Bake N Broil. Photo by Brian Addison. In the words of Russ Parsons, in a perfect world, every neighborhood would have a Bake-n-Broil. Birthed in 1965 by Roger and Carol Jongewaard, it is the epitome of a classic American coffeeshop and diner—the one cringe-inducing joints like Chuck’s wish they could remotely be like and the kind that spawned one-too-many offshoots and lost its quality along the way. And while not affordable in the general sense, they do have one spectacularly valuable lunch for $11.45. Now hear me out: You get a choice of which sandwich you want. Roasted turkey, roast beef, albacore tuna, or a classic BLT. You get a choice of your their housemade bread to shove those proteins in between: sourdough, squaw, multigrain or rye. And you get a cup of soup or salad. And you get a coffee, tea or soda. And, most importantly, you get a piece of their cake or pie (arguably the best in the city for me). The inside of Potholder’s original location in Belmont Heights. Courtesy of Yelp!/Huey F.
You can score a classic, big-plate breakfast here—and not at a bad price: Almost every omelette is under $10 and comes with hulky portions. The Frankie Special is your classic American breakfast: Two eggs, two pieces of bacon or sausage, two pancakes or slices of French toast for $5.95. The tiny-but-mighty space that is Jerry’s Breakfast Place on Fourth St. 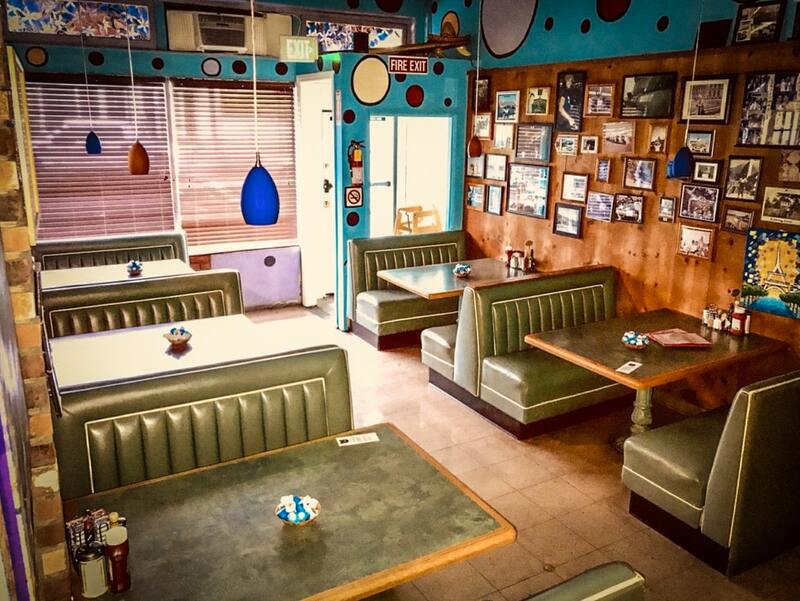 Courtesy of Yelp!/Rafael D.
When Tony passed in 2012, Tony’s Breakfast Place had a hole left in it—but its new owners decided, rather than carrying the weight of a legacy they felt they couldn’t uphold, re-brand the tiny breakfast joint into what is now known as Jerry’s Place. Enjoy the patio, complete with a Ron Swanson painted into the mural and judging you, and enjoy what their $8 to $9 breakfast platters that all consist of three eggs, hashbrowns, and your choice of protein. You can even request the huevos rancheros platter and it’ll still only be $8. And the housemade salsas—roja and verde, of course—are delicious accouterments; I admittedly lean towards the verde, which has a hint of habañero and makes the world a better place. The Omelette Inn in Downtown Long Beach. 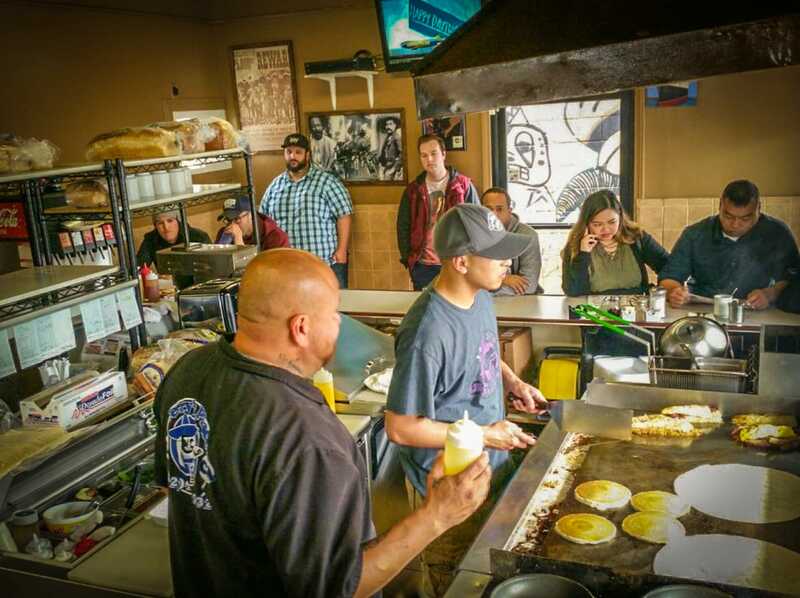 Courtesy of Yelp!/Steve E.
Omelette Inn has long been a staple in Downtown Long Beach, having served up eggs in every style imaginable long before the Potholder opened its second location on Broadway and The Breakfast Bar became one of the best breakfast joints in the city. And given this maturation, Omelette Inn has something that very few places (if any) still have: A $6.99 early bird special. 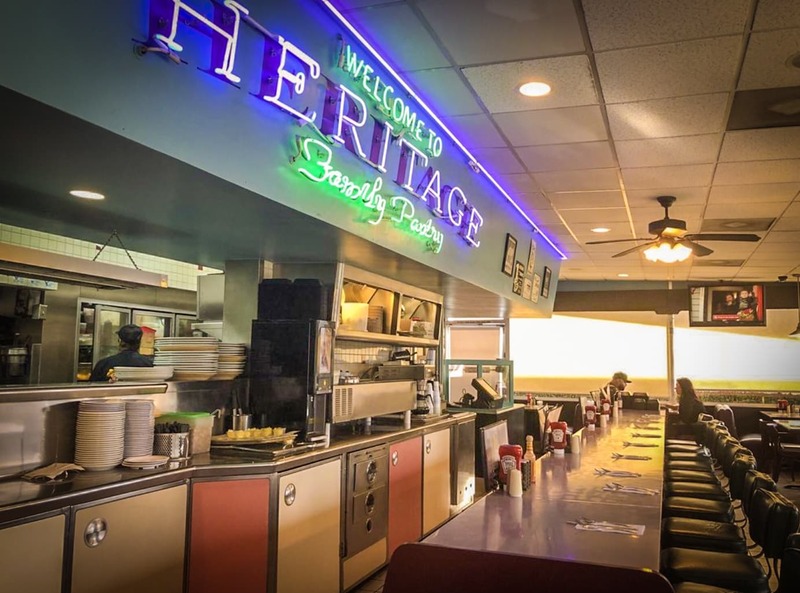 Before 9 a.m., you can have your choice of three specials that revolve around two eggs and two pieces bacon or sausage and your choice of home fries and toast, pancakes, or French toast. Also, for those with kids, they have an all-day, everyday Kids Menu where every dish in $5.99. Two of the many offerings at Downtown Long Beach’s 5th Avenue Bagelry. 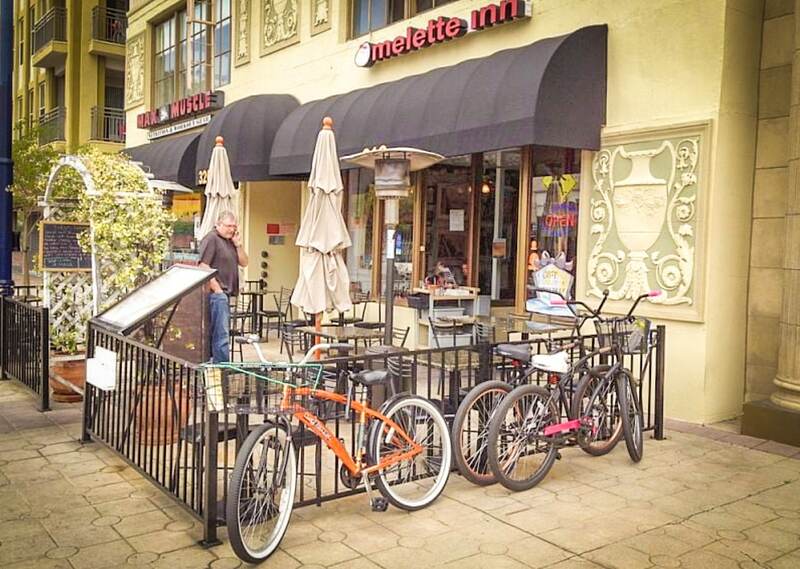 Courtesy of Yelp!/Lynn O. The best bagels in Long Beach are found at 5th Avenue Bagelry in Downtown Long Beach. 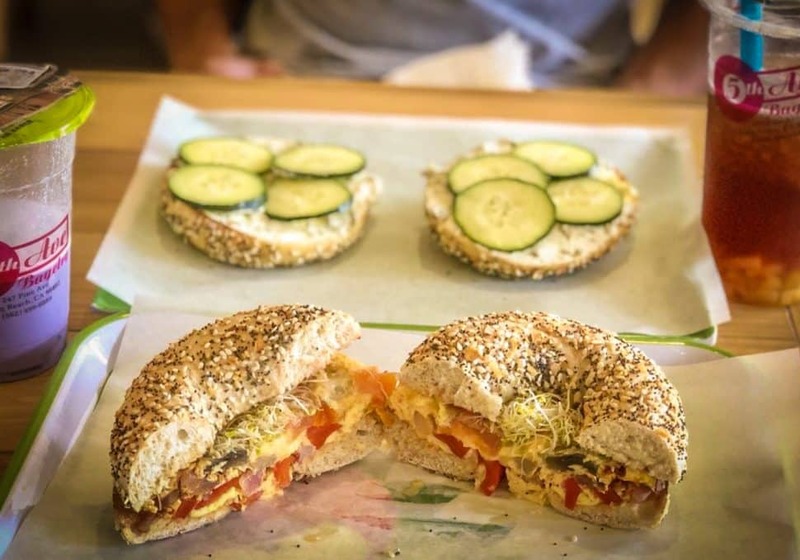 Hold up, lemme re-phrase that: The best bagels in the region are found in DTLB, and people often forget that they are filling, delicious, and affordable for breakfast and lunch. Owner Bau Tran is one of the most humble, hard-workin’ folks you’ll meet. His slow-rise, East Coast process to his precious creations is what makes these bagels the best thing you can get outside the East Coast. From oddities like banana strawberry to their outright spectacular jalapeño cheddar, 5th Avenue can give you a simple creation with just good ol’ Neufchâtel or you can make it a breakfast bagel to satisfy your inner New Yorker.